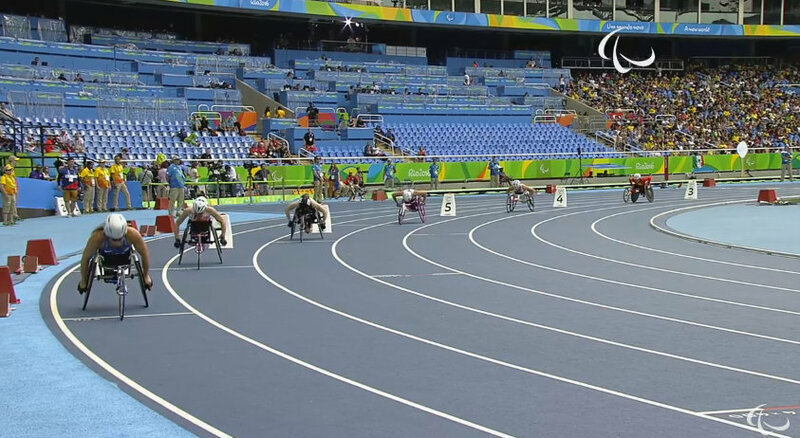 [Updated with video] Bermuda’s Jessica Lewis finished 6th in the 400m heats at 2016 Paralympic Games in Rio this afternoon [Sept 10], crossing the line in a time of 1:00.25. This time will not see her advance to the finals, however the 23-year-old sprinter did record a personal best, recording her fastest ever time in the 400m today. Racing in the second of two heats, Hongzhuan Zhou from China was 1st, Shirley Reilly from USA was 2nd, Hamide Kurt from Turkey was 3rd, Samantha Kinghorn from Great Britain was 4th, Ilana Dupont from Canada was 5th and Jessica Lewis was 6th. Lewis — one of two athletes representing Bermuda at these Games — has already placed 6th in the 100m final, and will also compete in the 800m. Good for you Jessica! making Bermuda Proud! Congratulations Jessica, personal best at the Olympic’s, fantastic achievement. Congratulations on the personal best time Jessica! 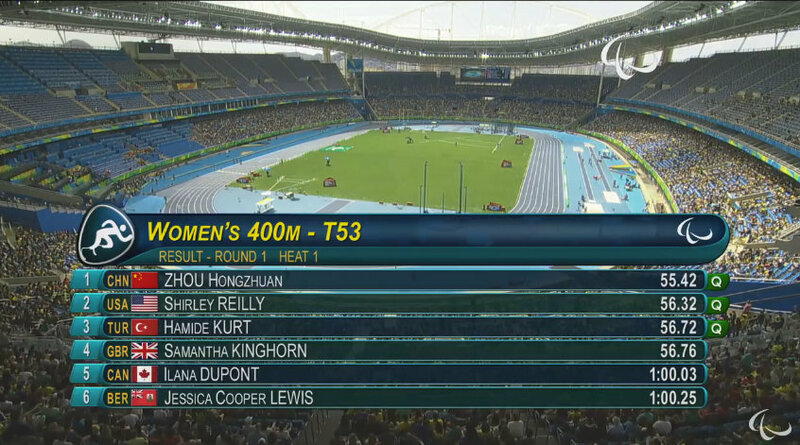 Lets concentrate on the 800m and making it to the final. Then give it your all in the final! Remember, you have nothing to prove…you and Yushae have already made Bermuda proud! Cheering you both on and hoping you bring us home a medal but if you dont thats ok too, you both have been an inspiration to your country!